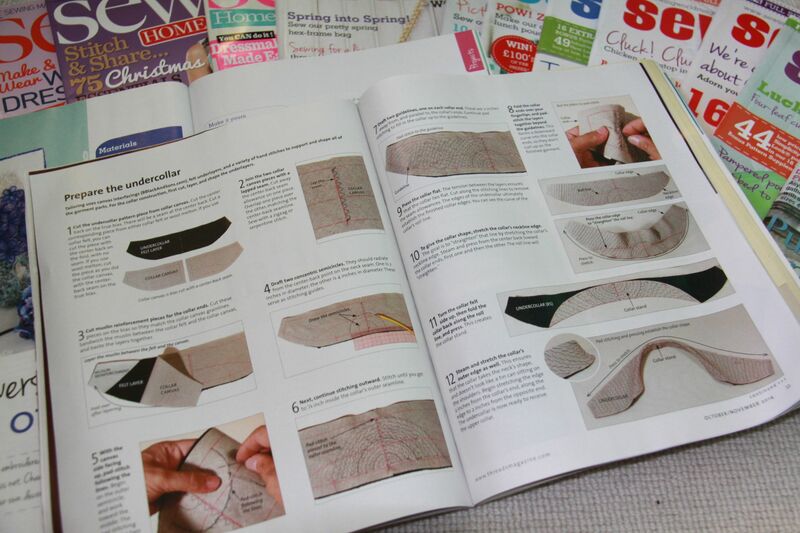 Over the last couple of years, since I started sewing, I’ve read a fair few sewing magazines, and I thought I’d take some time to share my views on some of the different ones I’ve read, and see which ones you all like. 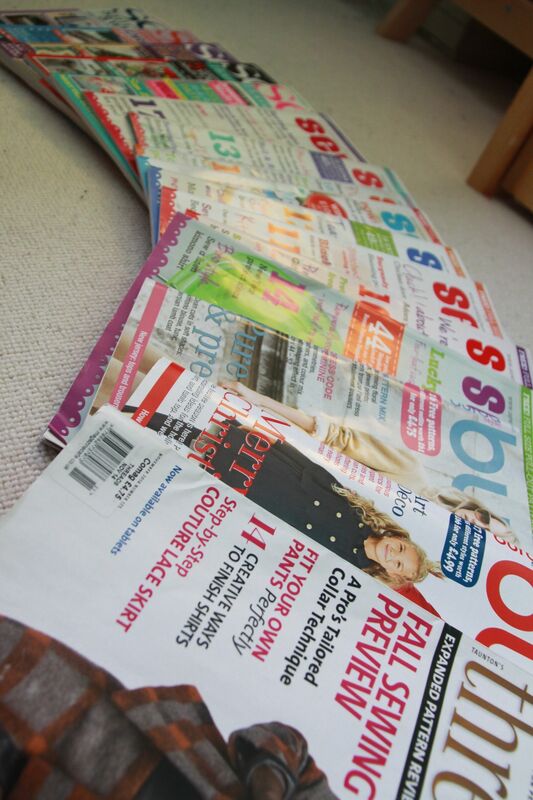 The sewing magazines that I most commonly see on shelves are Sewing World and Sew magazine. Occasionally I see a copy of Threads, and Burdastyle is sometimes available as well. 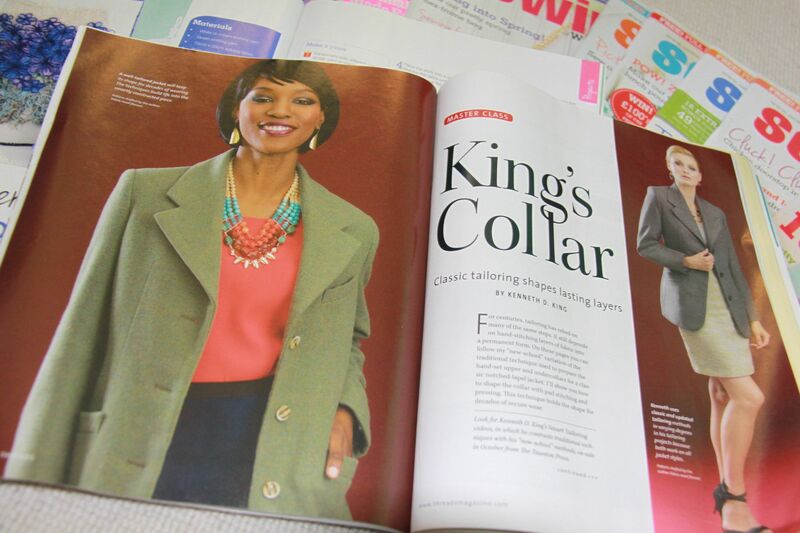 For a while, when I first started sewing, I read both Sew and Sewing World semi-regularly. At the time, I just wanted to absorb anything sewing-related I could find, and it was before I really discovered the world of sewing blogs. While I enjoyed reading both of these magazines, I’d find that I’d flick through them, skip over a lot of the articles that weren’t particularly interesting to me, and have read the whole thing (well, the bits of interest anyway) in about 20 mins. At about £6 each, that was a pretty expensive 20 minutes, and I started to think that I’d rather spend that money on a pattern I really wanted, or put it towards a sewing book that I know I would get a lot of use out of. I did used to buy them occasionally – it was a nice treat when I was in Tesco doing the weekly shopping, to be able to pick myself up something sewing-related as well. I had a subscription to Sewing World for 6 months, and while I enjoyed them (and even won a pack of Fat Quarters from one of their competitions I entered), I didn’t extend it after that time. The issue I had with these magazines is that they were a bit too general – they covered so many different kinds of sewing, that it was unlikely to ever all be of interest to me. Every issue there’d be a number of home dec projects/ideas for sewn gifts, probably a couple of patterns or things to sew for kids, maybe a men’s pattern, and a ladies’ pattern or two. While I’m not averse to doing a bit of home dec sewing (I’ve got a number of blinds and curtains that I need to sew up pretty soon), it’s not really my main interest. Similarly kids, I don’t have any, and although I may occasionally sew something for a friend’s baby, that is a rarity. Sewing for men – it’s something I’ll probably do at some point (once Marcus lets me know something that he’d like that isn’t a coat! ), but again, not my main interest. That leaves a very small proportion of the magazine that is actually about what I am really interested in. The same applies to more general crafty magazines like Mollie Makes – there just isn’t enough in it than I’m interested in to make it worth me buying it. I do still occasionally pick up Burda Style, but that’s a different class of magazine – more just a collection of patterns rather than having general magazine content as well. 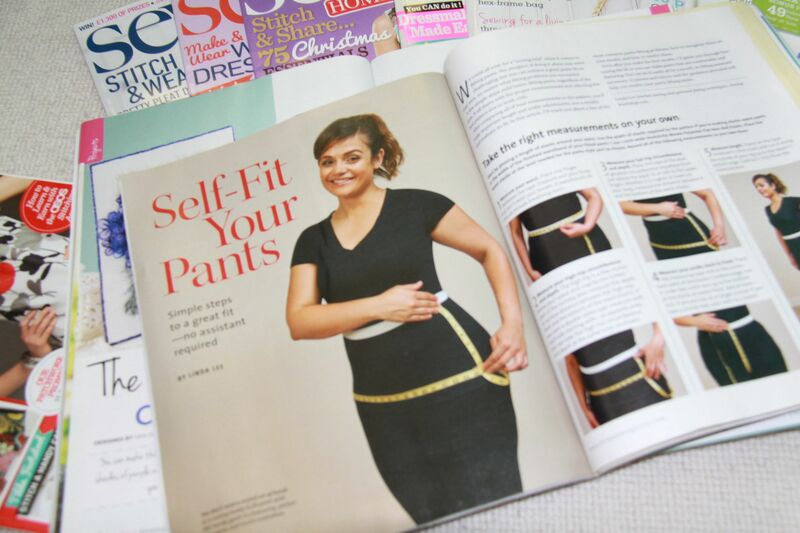 Love Sewing is one I haven’t tried yet – I won a subscription to it at the SewBrum meet up, but haven’t yet received any issues, so I’ll hold judgement on that (and maybe chase them up)! A few months ago I picked up a copy of Threads at the airport when I was flying to Sicily. I figured it would give me something to flick through on the flight. That magazine kept me entertained for the whole flight – I basically read it cover to cover, and there were a couple of articles in particular that I found especially interesting, and I’m now keen to try out those techniques. I think the main difference that makes Threads so much more enjoyable, is it’s focus primarily on dressmaking. It means that pretty much the entire magazine is of interest to me, and makes it much more worth the money (it also happens to be cheaper than most of the ones I’ve already mentioned. Marcus gave me a subscription to Threads for Christmas, so I’ve now got my fix for the next year – and I don’t have to worry about tracking it down in the shops, which is an issue I had – Threads and Burdastyle don’t seem to be as widely available. Yes! This was something I needed! I would love it (and I know I’m not the only one) if there was a UK equivalent to Threads, although I guess the advantage of reading a US magazine is that all the advertising is lost on me and can’t persuade me to buy anything ;) I noticed this week there is a new sewing magazine on the block – Simply Sewing, which is produced by the same people as Mollie Makes. It will be interesting to see if it fills this current hole in the UK sewing magazine market – I’m sceptical to be honest – their description seems to imply it includes home dec and embroidery as well, and the sewing special that Mollie Makes produced around Christmas did not seem to be particularly well received – I had a flick through it in the shop and decided it wasn’t worth buying, and I know some people who bought it and wished they hadn’t bothered! But I’ll have a look at Simply Sewing if I come across it in a shop, and see what I think. 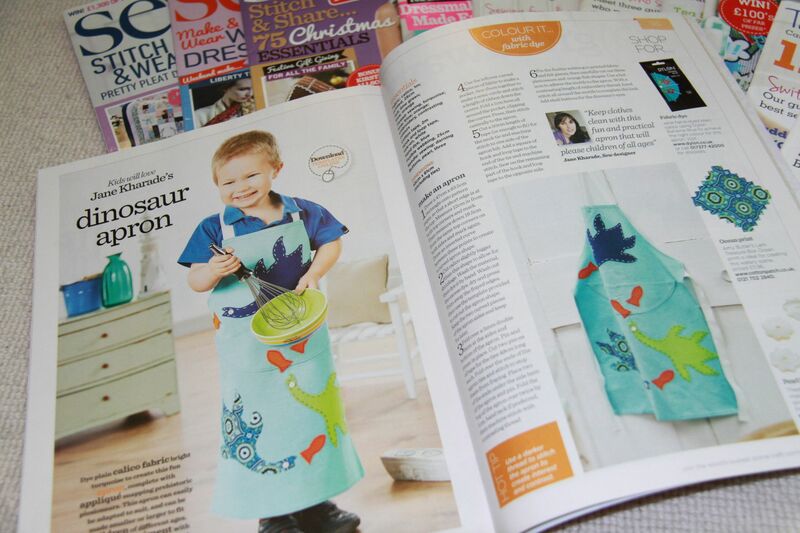 So, which sewing magazine you read and enjoy? Do you think there’s still a gap in the market? 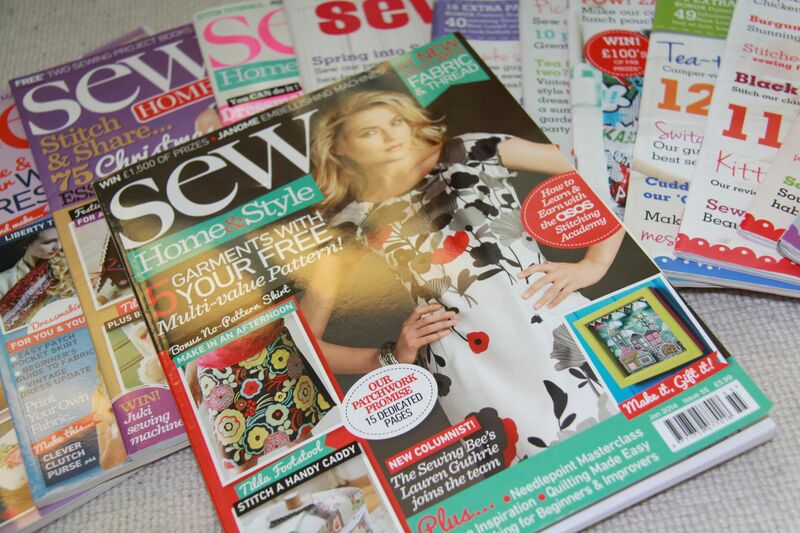 Do you think there is still a place for sewing magazines given the number of websites and blogs dedicated to the subject? While I could probably find most of what is in a magazine on the internet, I quite like being able to sit down and flick through, and maybe come across something that I wouldn’t have done if I had to look for it on the internet. I’d love to hear your thoughts!